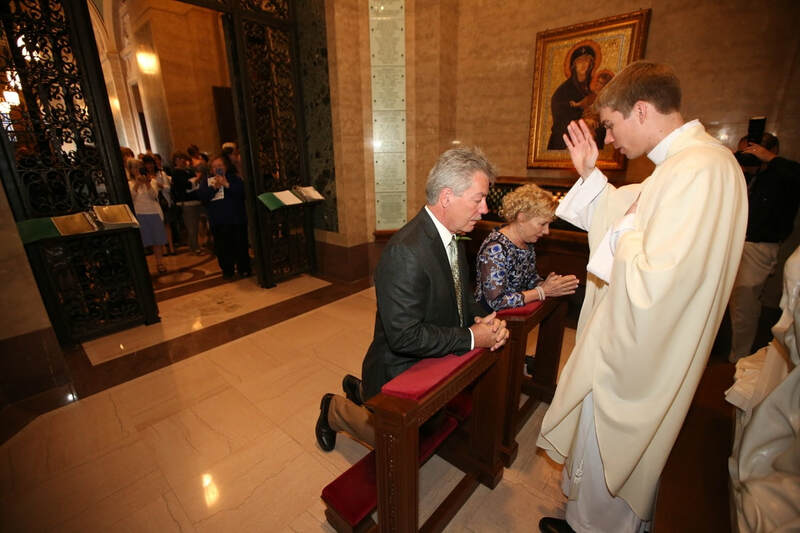 Reactions can vary widely when parents discover that their son is considering a single-hearted life of service to God’s people and God’s Church as a priest. Some parents are very happy and eager to provide support while others may have questions or concerns about their son’s discernment process or intended vocation.It is the desire of all parents, however, to see their children grow to be fulfilled, happy and successful in life. If children truly seek and find God’s will for them, their lives will be fulfilled, happy, and successful. If their vocation is to be a priest, their generous response to that divine call will be a source of tremendous blessings for them and for their whole family. In many respects, the initial seeds of a vocation are planted in a young man’s childhood, especially in the home. As your son discerns and follows his divine calling, always feel free to call or email the Vocation Director with any questions. The various portions of this website, too, including the submenus on the left side of this page, we hope will be of some assistance. If you feel that you need more knowledge about your faith, don’t be afraid to ask questions and seek answers. Be patient with yourself and your child’s uncertainties and know that God is always present and working in your lives.